Thanksgiving is arguably the biggest foodie holiday of the year. My family has always had big food traditions and Thanksgiving is no different. Cornbread dressing, green bean casserole, sweet potato casserole, and the best: Chocolate Pecan Pie. 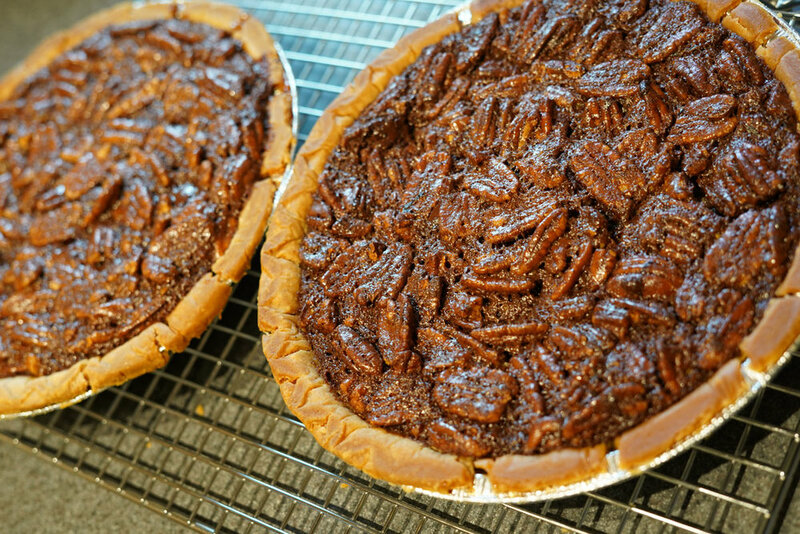 I love pecan anything, and I love chocolate so chocolate pecan pie is my absolute favorite holiday pie. Whether it’s Thanksgiving or Christmas, I usually make this at least once a year. It’s become a staple at family gatherings. My cousins this year were hosting Thanksgiving and texted me: “Please bring the chocolate pecan pie”. So I made two. If you’re not a pecan pie lover, this is the pie for you. I’ve had people who love pecan pie who love this pie, and people who don’t like pecan pie love this pie. The trick to this pie is using dark chocolate. Dark chocolate won’t add that sickly sweetness that a standard pecan pie has. I also don’t add as much sugar. This recipe comes from my mom, the best cook I know. 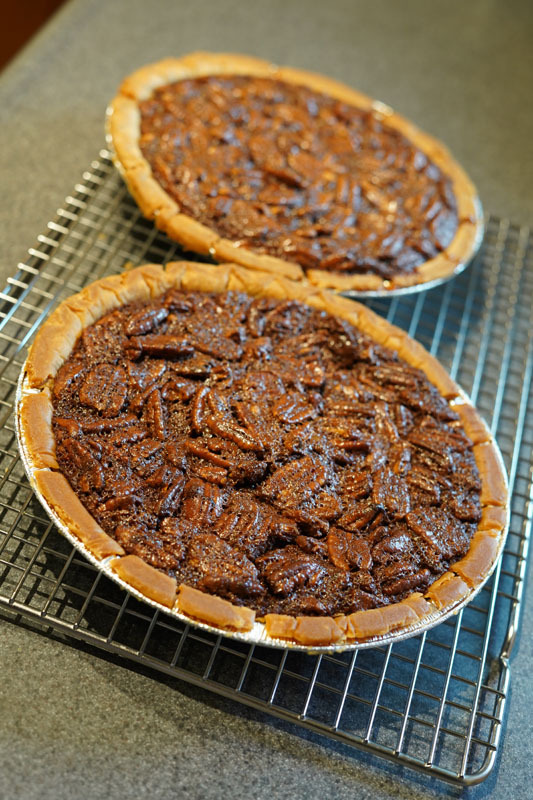 I’ve adapted it roughly, but the recipe comes from her, hence the name '“Ruth’s Chocolate Pecan Pie”. It’s the best! Set pie shell on a heavy-duty baking sheet and pour in filling. Bake 50-65 minutes, until knife inserted midway between the center and the rim comes out clean. Cool pie on wire rack to room temperature before cutting. Serve with whip cream or ice cream. This is my favorite pie! Pictured I used a gluten-free pie crust. The filling is inherently gluten-free so this is an easy way to make it gluten-free. You can play with the chocolate ratio. I like a more dark chocolate pie, but you can flip it to semisweet if you like more milk chocolate. Also a note, use the Karo brand corn syrup. I’ve used other corn syrups and it doesn’t turn out the same. The ingredients are key!